Have you always been sceptical about burning a hole in your pocket when it comes to buying signature jewellery from Amrapali, Eina Ahluwalia, Gaurav Gupta, Isharya, JJ Valaya, Manish Arora, Pernia Qureshi, Rohit Bal, Shivan & Narresh & more? Well, it is now time for you to come out of the closet and indulge in a collective that features jewelry by India’s leading designers made with Swarovski crystals, all under 7k (pinch yourself and you’ll know that you’re in for a steal deal). Ladies, have you been looking for statement attires for work? This brand does outfits which are a game changer for your office OOTDs. They’ve got perfectly tailored formals in summery hues and playful-yet-contemporary patterns. From fitted pant-suits to sharp dresses to minimal formal shirts - their collection is perfect for all your desk-to-dine looks. We are bringing you the physical store of this e-shopping brand. The Silverline has been working towards creating jewellery pieces that strike a balance between fine and raw. 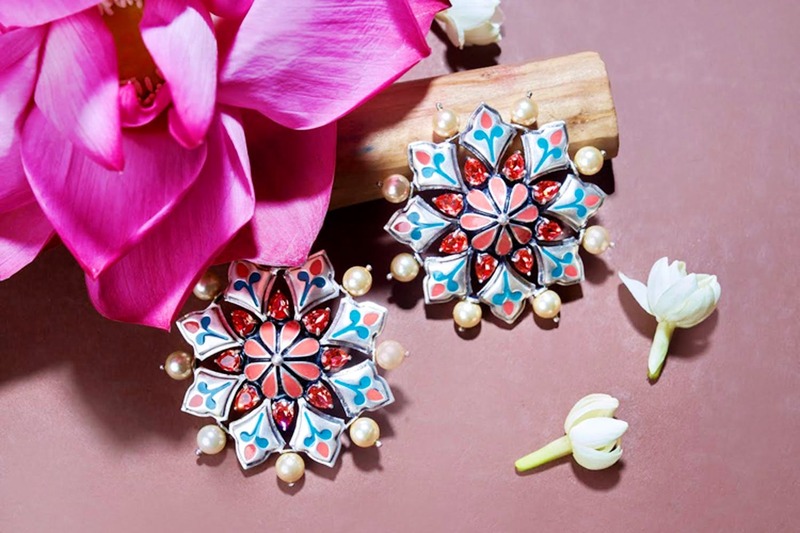 Catering to one of the best tribal, beaded, stone, filigree, enamel, handmade, temple, kundan, polki, silver and gold jewellery, this brand has accessories that will allow you to transcend between all kinds of moods and styles through the summers. This one’s a niche, multi-designer store that celebrates fashion and style with its clean, chic and modern aesthetics. The brand also houses cutting edge Indian Designer brands that are focused on western-wear. Their sense of style is uncluttered and intimate; the range of clothing for both men and women as well as accessories are personally handpicked by their team. The Signature collection brought together by Dhruv Kapoor has been created with attention-to-detail, has an emphasis on tailoring and an eclectic use of materials and custom-developed fabrics. The brand will exhibit an unrestrained reflection of contemporary society and will expose its interaction with the most diverse cultures through their summer collection that empowers women through its silhouettes at The Summer Mode. They will be showcasing tunics, long flowy dresses, belted dresses and more! If you love leather accessories, then this brand will have your heart at first sight. Their range of leather and fabric bags, slings, pouches and more are tailored with a homegrown fashion landscape that brings together an old-world charm with charismatic contemporary designs. At Summer Mode, this brand will bring you a mélange of products, in top-quality leather and fabrics at prices you will love. The brand will bring to you glocal fashion –a hybrid expression of thinking globally and acting locally, keeping their designs global in construct yet Indian in their sensibility. Urvashi Kaur supports an alternate fashion movement by embracing heritage hand-woven, organic textiles and natural dyes that are boldly reflected in her designs. Her range will have the best combination of attires ranging from Chanderi Silk hand block printed dress for women to linen shirt with Shibori hand block chanderi on collar and cuff with hand printed Morrocan salwar for men to give you an idea of what you can expect at The Summer Mode. Mulmul at The Summer will revolutionize your wardrobe with a harmonious marriage of serene embroidery work with the softest cotton fabric, redefining affordable luxury. They are introducing their pret range, not drifting afar from the quality offered previously, they have passionately handpicked the purest cottons and crafted beautiful embroideries to bring to you luxurious elegance. The brand’s forte lies in minimalism. They will have a play of fabrics with a generous dose of mix and match that will make you feel good in their silhouettes. Their designs are big on variations of origami with hints and combinations of patterns on their fine cloths. Been wanting to get your wardrobe a sensual touch? Grab the femine sensual summer collection from Millya, ReRe which is mixed and melted with new ideas and unexpected techniques bringing out their summer edit that is both Reflective and Re-inventive (precisely what ReRe stands for). At The Summer Mode Powered By E By NESCAFE, they will showcase different silhouettes of shirts, dresses, trousers in pure linen, cotton and organic cotton to tell you a bit about their range. If you are free willed and are truly deeply inspired by travelling, then this brand’s handmade sustainable curation of footwear and accessories will have your heart. We heard that their collection is not only quirky but also consciously striving to be authentic and chic that gives voice to a person’s individuality. Best part? All of their products are made of plant based materials like jute and sea-grass. So, amp up your casual look style game with this brand at The Summer Mode. Get ready to amp up your summer wardrobes with the best of collections from all above brands and more, just under INR 7000. AND stock up on all your coffee needs with the smart coffee maker - É By NESCAFÉ. From Iced Latte to Mochaccino, this will make your brews for you in under a minute. Take a break from all the shopping and enjoy chilled beer under the sun, thanks to our beverage partners, Kati Patang! AND, you can survive the heat with our Associate Partners, Alainne's skin care products. If you own a brand that has the best of summer hues in store, then here's a chance to let the people in the city experience your products. Click here and tell us more about your brand, we would love to reach out to you for further collaboration.